Ready Player One is a 2018 American science fiction adventure film produced and directed by Steven Spielberg, and written by Zak Penn and Ernest Cline, based on Cline’s 2011 novel of the same name. The film is a loose adaptation of Cline’s novel, and while some may protest at the film script, it contains the essential elements of the book and its culmination. The film experience is an exquisite immersion into the gamer reality spawned by the text games of the 1980’s. Pac-man gifts the final bonus, as does the curator in the film. The film takes place in the year 2045, when much of humanity uses the virtual reality software OASIS to escape the desolation of the real world. Orphaned teenager Wade Watts (Sheridan) discovers clues to a hidden game within the program that promises the winner full ownership of the OASIS, and joins several allies to try to complete the game before a large company run by businessman Nolan Sorrento can do so. Ready Player One hints at the human future of interaction with the people from the stars. They – the people from the stars – are using similar quantum physics to communicate and travel across galaxies. 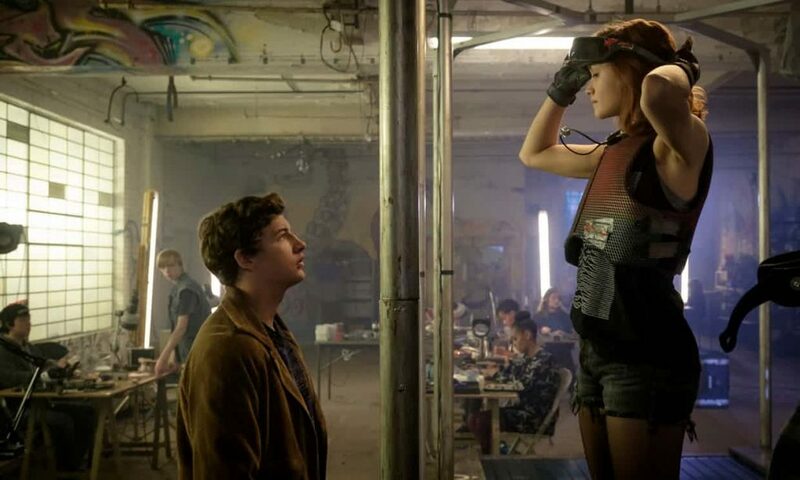 Virtual Reality in Ready Player One is not far removed from exploring other dimensions, other realities as humans can do right now. The techniques of prayer and meditation produce superior results to those gained using haptic technology to see, hear, touch, taste and smell in viritual reality. This world is a hologram. Ready player one takes place in a hologram that people escape to in order to do something in their real lives: satisfy every desire they can have. 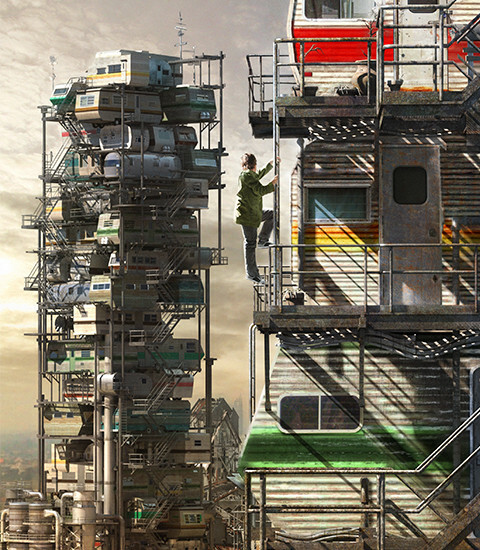 Ready Player One has players in search of an Easter Egg. The egg, when finally viewed, resembles the hiranyagarba, the golden egg that all creation is encompassed within. In every physical citadel or body, the divine personality named Hiranyagarbha is immanent. Q. Question and answer by Sai Baba linking the Golden Egg (Hiranyagarba) to human nature. Q. Has it a name, like the rest? A. It is known as Hiranyagarbha. is described as the Changeless in all creatures, A-kshara Purusha. to the Five Elements that have united to form it? A. Of the Earth, bone, skin, flesh, veins, hair. A. Blood, urine, saliva, phlegm, brain. A. Hunger, thirst, sleep, sloth, comradeship. Q. The element Air, Vayu produces … ? A. Activity, movement, speed, shame, fear. A. Yes; for lust, anger, greed, pride and envy. have anything to do with his travails? may appear so. They are only of four types. They are called Vasanas (inherent mental tendency). Q. What are the four inherent mental tendencies (vasanas) ? him on? How many varieties of egoism are there? Sai Baba tells that all that it means to be human is encapsulated in this golden egg, the hiranyagarbha. It seems that the search for the easter egg is the search for the true self within. 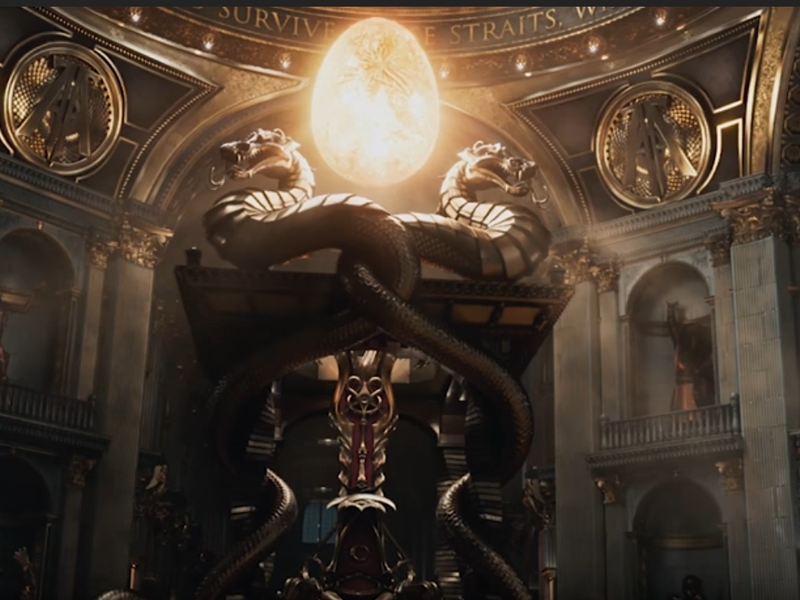 While we may analyse many aspects of this film and its mythological themes (Parzifal and Art3mis, the hunter and the hunted), a key issue is the imposition of virtual reality on the world we live in – which the perennial philosophy tells us – is illusion itself. It is not the reality. The movie describes the world as one of dystopia (the opposite of utopia, the perfect world), due climate change and various geopolitical events. Many of Earth’s cities have become slums; its inhabitants regularly escape into the virtual reality world of the OASIS. 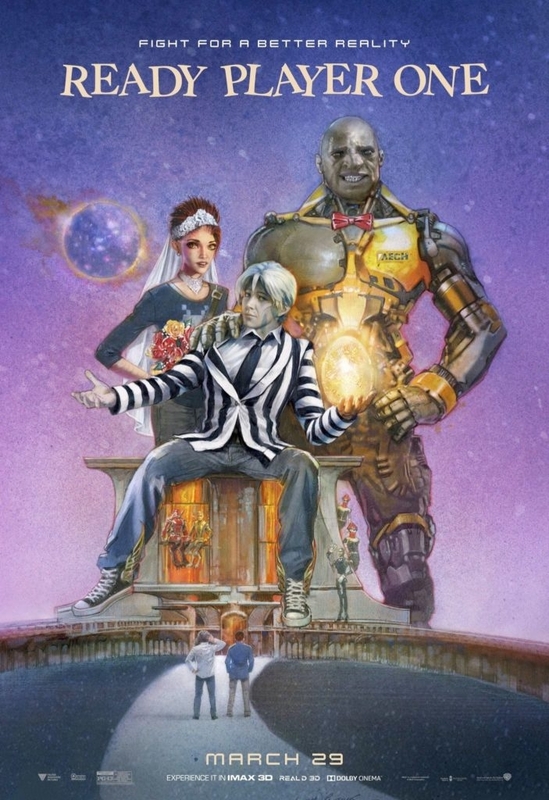 From the opening scenes in Ready Player One, we know – from Parzifal climbing down the stacks – that people choose their reality in the OASIS; we see people at work, we see an obese lady pole dancing, and we realise that people live, work, entertain themselves and face a better world as they satisfy their needs and desires. Greed takes over too: there are no rules in OASIS and the Easter Egg hunt, so the video game conglomerate Innovative Online Industries (IOI) stops at no barrier to find the eggs and even employs researchers, top gamers and indentured servants called “Sixers”, a form of human slavery. IOI behave with impunity as they seek their goal, stooping to bombing, killing and murder of gamers as the narrative unfolds. On the other hand. Parzifal’s love interest, Art3mis, seeks to solve the problems of the world and act with proper dignity and respect for life. In particular, Art3mis seeks respect for her personal space. Mother Earth is ascending to the 5th Dimension. All forms of life on this planet will be affected. Human awareness, consciousness, is also being affected with greater capacity to explore other worlds, other realities. Those heretofore who felt they had no interior skills at telepathy, clairaudience, clairsentience find that they are developing psychic skills and able to communicate and experience the higher dimensions – the 4th and 5th dimensions. This process is called Ascension. It is ascension to a greater reality, what some might term a virtual reality. Ascension will affect the Earth and all that is upon it; all forms of life are being transmuted to the higher dimensions. Everything is energy. Some forms of energy will be transformed to higher forms of energy. This may result in a loss of species. However, energy, once created, cannot be destroyed. This means that a species of flower might come back as an entirely new flower. Think of the multifaceted colours of nature! Consciousness will shift from the head to the heart, to the soul. Whilst we have human emotion and feeling, the Soul does not know fear. It is simply awareness. Mankind has a form of knowing called (in philosophy) “unknowing knowing“; there are many names for this, some would call this unconscious knowing. It is soul awareness, soul knowledge. The soul brings skills, knowledge and abilities learned and acquired in past lives. One only has to look at the behaviour of babies and very young children – called wonder kids – to know this. Mathematical and musical geniuses at the age of 4, graduating from University at 15-years-old, etc. One effect of Ascension is that humans will come to know things not known before. For example, the Angelic Realms have solutions to our greenhouse gas atmospheric problems – along with utilisation of hydrogen for our energy needs – but these things are being withheld until humans rise in consciousness and become less war-like and not inclined to raise a weapon to settle differences and misunderstandings. There have been advances in medical technology and health awareness; there have been advances in industry and technology, there have been advances in telephony and communications. There has not been a similar advance in soul potential and soul development. In this area humankind has lagged, and what is not seen by the eye or the senses is dismissed. Some may have this prejudice, others are simply blind to that which cannot be known by the senses and reason. Cosmic Sai Baba: This is an example of what is called Virtual Reality. It is coming about more and more. This is what the modern way of thinking is calling it now. In fact, consciousness is very different from what many are thinking. In fact, there is more coming out now – there are those who are talking about it and saying … this is not the reality. So if you would like to give that more consideration, and think about or discuss, or even read about – the knowledge that the quantum physicists have – and other ways of creating vitual reality. It is no different from what we as starpeople already do – I hope this gives you some answers. Each element that Cosmic Sai Baba refers to in this very short overview may be viewed on the video on this page. The speakers in this video explain all about what Cosmic Sai Baba is speaking of. Of more local relevance is exploration of the Great Barrier Reef. Watch the virtual reality experience and Read about Dry Diving. 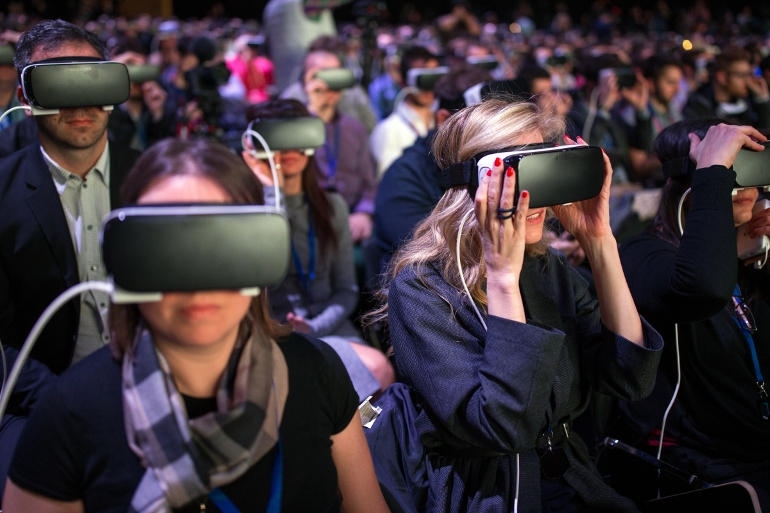 There are inherent risks with addiction to Virtual Reality. As virtual reality nears consumer level open marketplace purchases, cautions about addiction to VR gaming are being given. This is the beginning, the first steps . 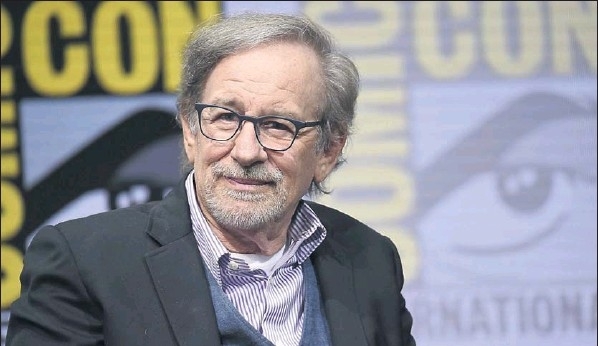 SAN DIEGO: at Comic Con 2017, Steven Spielberg has warned that a future dominated by virtual reality is coming ‘whether we like it or not. The American director was discussing his new movie, Ready Player One, at Comic-Con San Diego. 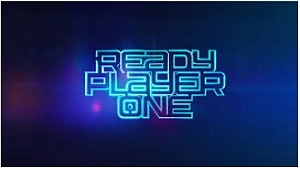 The film is an adaptation of Ernest Cline’s book that depicts a dystopian world where humans take refuge in virtual reality in a world scarred by the effects of global warming. Set in 2044, it entwines 1980s culture and futuristic concepts. On reading the book, Spielberg said: “It was like the most amazing flash forward and flash back at the same time to a decade I was very involved in, the 1980s, but a flash forward to a future that I think is out there awaiting all of us whether we like it or not.” He described the world it was set in, where fossil fuels are depleted and extreme weather is pummelling the globe, as “so dystopic”. And virtual reality opens up the possibility of being able to do “anything you can possibly imagine”, he said. He feared being “vilified for some kind of grand act of grand larceny of vanity” because so many of the moments in Cline’s book focused on his own donations to culture. Spielberg had to leave parts of his work out otherwise he felt he would have had to defer directing it.